Anthony Modeste scored a second half hat-trick to fire Köln to victory over Hamburg - but is that enough to earn your #BLMVP vote? Anthony Modeste’s brilliant hat-trick that fired 1.FC Köln to victory over Hamburger SV earns the striker a BLMVP nomination for Matchday 9. The Frenchman’s second-half heroics took him to 11 goals for the season so far, away and clear in the race to be Torschützenkönig at the end of the season, with seven coming in October alone. The Billy Goats moved back into the UEFA Champions League places thanks to Modeste’s efforts, but has he done enough to win the BLMVP award? 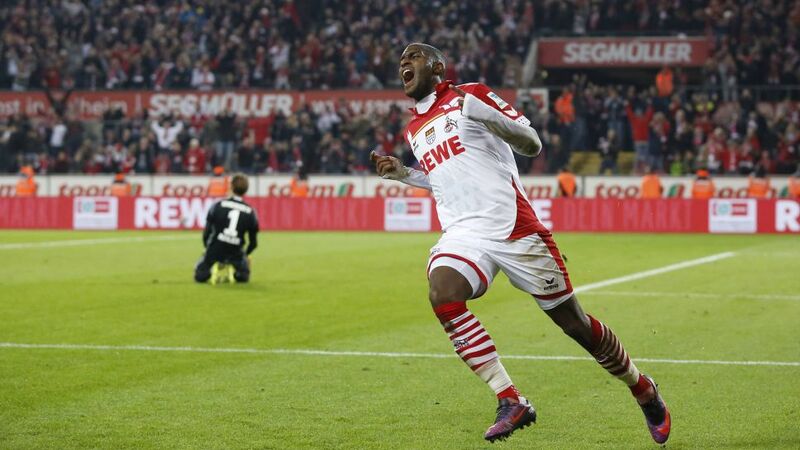 Vote for Anthony Modeste as #blmvp on our twitter channel now! Modeste now has seven goals in five appearances against Hamburg.It was his first hat-trick in the Bundesliga, having scored twice on five occasions previously.Not only is the 28-year-old currently the Bundesliga's top scorer, he has more Official Fantasy Bundesliga points than any other player (108).